Have you ever wondered why your brother looks great wearing his round John Lennon shades and when you try them on you look like Shrek? If you take a moment to analyze the shape of your faces, you’ll see the difference. There are seven basic face shapes, and our face shape determines what shape and style of glass complement us best. 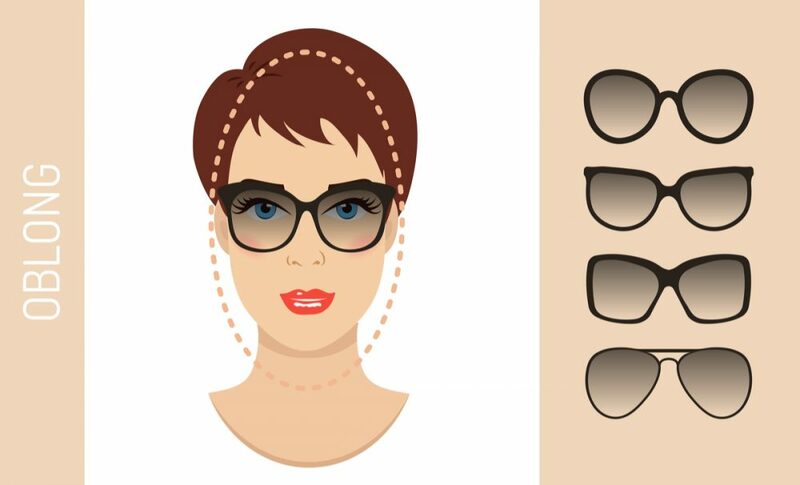 Here’s how you can figure out what your face shape is and what glasses will look best on you. If your forehead is a little wider than your jawline and your overall face length is longer than the width of your cheekbones, you have an oval face. Celebrities with this face shape include George Clooney, Salma Hayek, Jake Gyllenhaal and Tina Fey. The best glasses for you are angular because they’ll balance out the “softness” or roundness of your face shape. Aviator glasses (triangular lenses with softened corners) or Wayfarer glasses (rectangular with rounded bottom corners) work best on people with oval faces. Your forehead is wider than both your cheekbones and your jawline. Your jawline slopes into a somewhat pointed chin. Celebrities with heart-shaped faces include Joseph Gordon-Levitt, Ashley Olsen, Ryan Gosling and Reese Witherspoon. 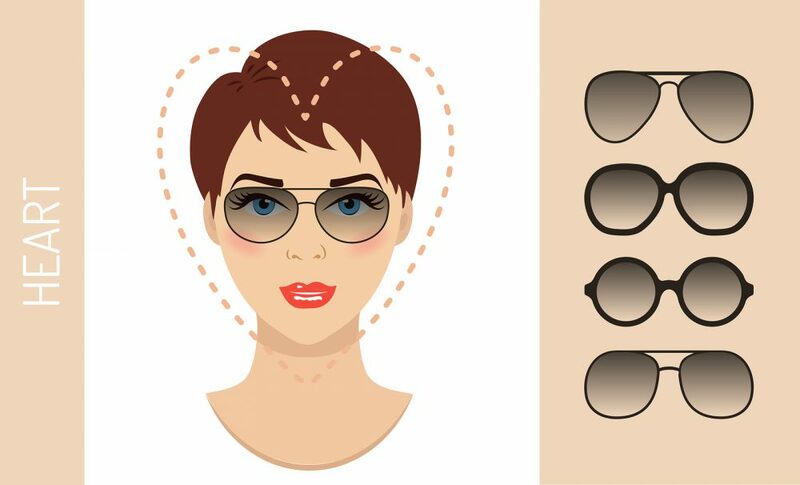 As with those who have oval faces, aviator and wayfarer styles look good on people with heart-shaped faces. However, people with heart-shaped faces can also wear round lenses to soften their angles. You can also go with a rimless rectangular style, as long as it’s not too bold or wide, to help balance out your features. Your face is angular and the length of your face is about equal to its width. 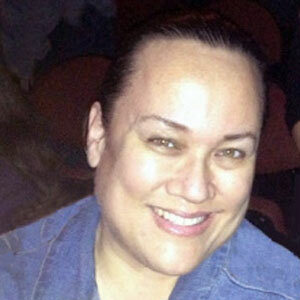 There’s nothing “round” or “soft” about your face; you have strong cheekbones and a broad chin. Square-faced celebrities include Tom Cruise, Demi Moore, Emily Deschanel and Arnold Schwarzenegger. The obvious point in regards to frame shape is to avoid anything square, bold or angular. Stick to round, oval or trapezoid frames (rectangular on top and a little narrower on the bottom) that will work to soften your strong features. If you find square frames that you love, pick ones that have rounded edges and that aren’t overly thick or large. Your face has very few angles and is equal in length and width and in some cases, is a little broader than your forehead and jawline. Famous round-faced celebs include Jack Black, Ginnifer Goodwin, Queen Latifah and Leonardo DiCaprio. 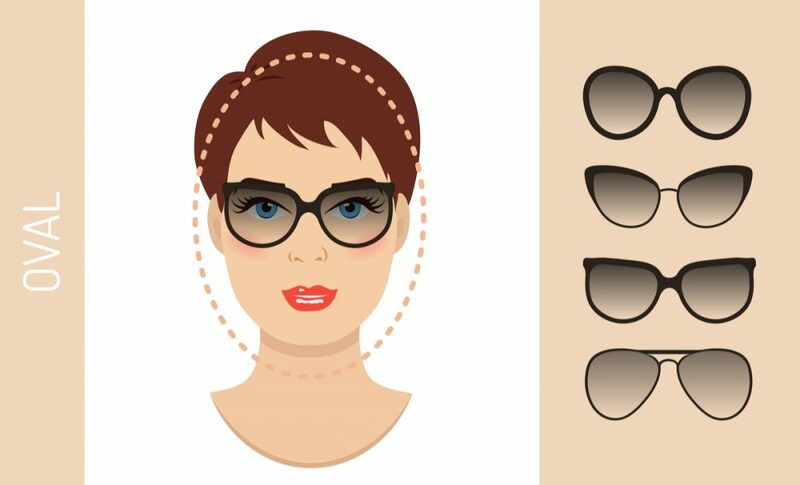 To give your face some angles, try angular or rectangular frames that aren’t too bold or overpowering. The lenses should be wider than they are tall, an effect that will work to lengthen your face. Stay away from round or oval frames. Oblong faces are very similar to the oval face shape, only longer with a chin that is a little more pointed. Celebrities with oblong faces include Ben Affleck, Meryl Streep, Sasha Baron Cohen and supermodel Iman. Ideal glasses for the oblong face help shorten the appearance of its length and bring out strong features. Stick to medium-sized glasses in square or angular shapes to bring out your brows and cheekbones. If you find larger glasses that you like, make sure the frames are not too bold or overbearing because they’ll make your face look small. People with diamond-shaped faces have dominant cheekbones with a long, tapered jawline and a forehead that is a little narrower than their cheekbones. Celebrities with diamond-shaped faces include Tyra Banks, Johnny Depp, Rihanna and Hugh Laurie. The best frames for you are rounded styles that will soften your features. Bold trapezoid shapes even out the forehead-to-cheek ratio, while round or oval frames will help even out sharp features. The triangle-shaped (or pear-shaped) face is basically the inversion of a heart-shaped face. Your jawline is full and wider than your cheekbones, and your forehead is the narrowest width on your face. Celebrities with triangular faces include Kelly Osbourne and Minnie Driver. Angular styles are ideal because they balance the top (narrower) portion of your face with your jawline. You could also go for round, rimless frames to soften your features without bringing too much attention to your forehead or your jawline. No matter what your face shape, make sure the glasses you select are wide enough for your temples. In other words, if you try on glasses and they press into your temples or leave an indentation when you remove them, they’re too narrow for your face. Not only will they look bad, but they could leave you with a headache. Find frames where the temples are at least one-fourth of an inch away from your face so you’ll feel comfortable and look great, too.